This creamy chipotle sauce is made with adobo chipotles, plain yogurt or Mexican crema, garlic, and lime juice. Chipotles are actually smoked dried jalapeños. I used canned chipotles in adobo for this recipe, which means the peppers are soaked in tomato based sauce. 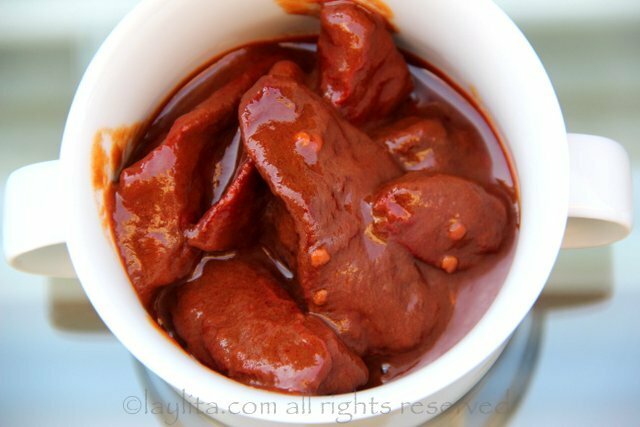 You can find the canned chipotles in adobo at most regular grocery stores. Some options for replacement in case you can’t find them include ground chipotle powder as well as the actual dried chipotles – you’ll need to soak these in water. I used a very creamy European style yogurt (whole) for this recipe, but any kind of thick plain yogurt will work. 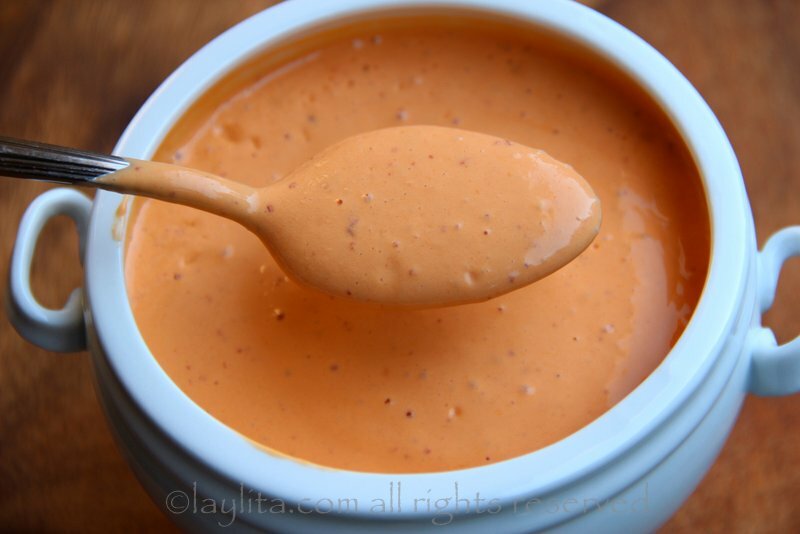 If you want a richer variation of this creamy chipotle sauce you can also try it Mexican style crema (available in most Latin grocery stores) or with crème fraiche. 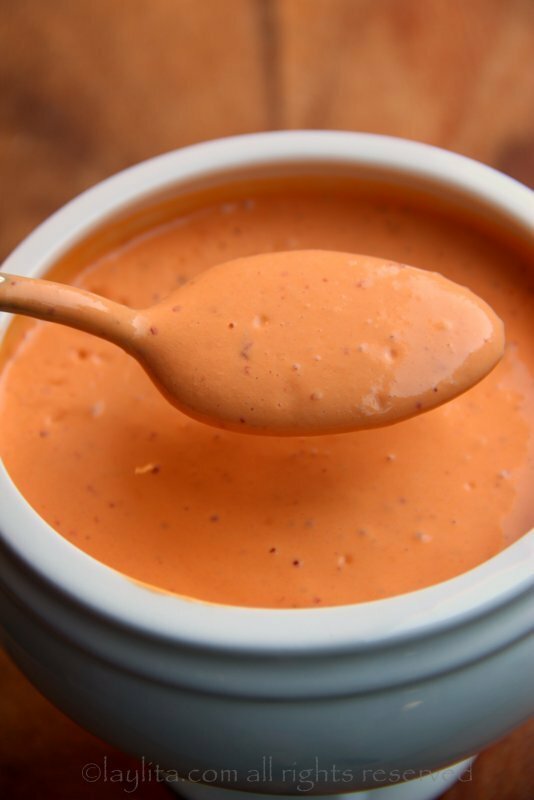 Recipe for spicy and creamy chipotle sauce made with adobo chipotles, plain yogurt or Mexican crema, garlic, and lime juice. 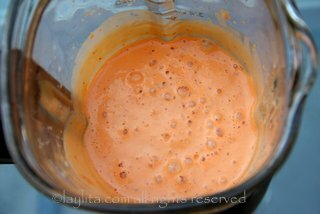 Combine all the ingredients in the blender or mini-food processor. 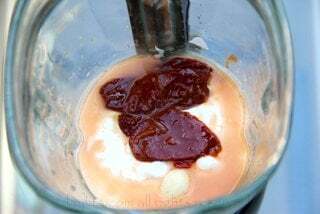 Mix until you have smooth creamy sauce. Taste and adjust the spice level based on your preference. Use immediately or refrigerate until ready to use. The sauce will be very liquid right after making it, this is normal, refrigerate the sauce for it to thicken (if you prefer a thicker sauce). 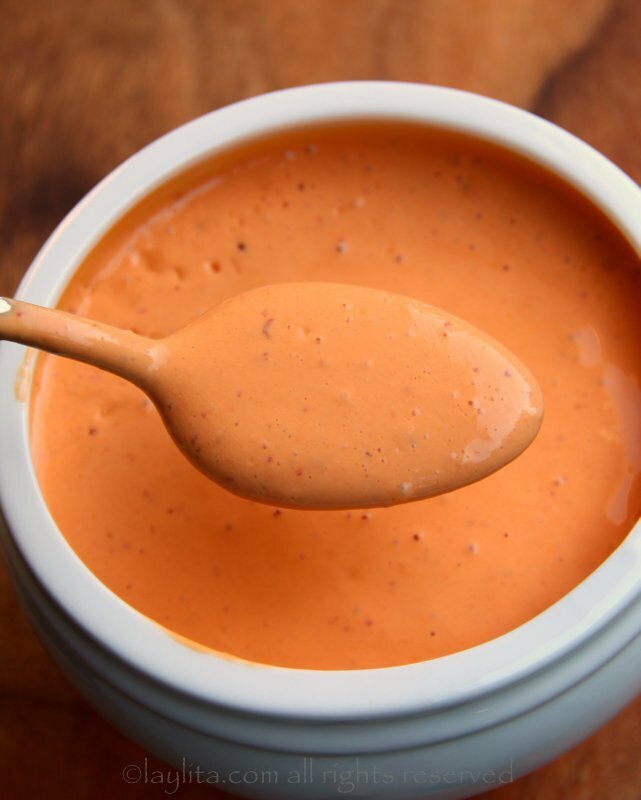 This chipotle sauce is a perfect blend of creamy, tangy and spicy. You can adjust the level of spiciness according to your own preference; if you want it super spicy add several chipotles. If you prefer a milder sauce, then just add one or even half. 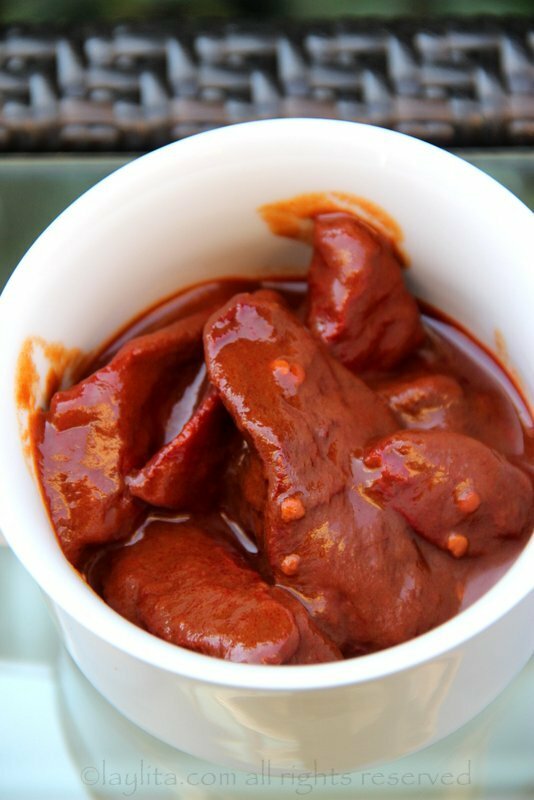 If you’re not sure, taste a bit of the adobo sauce to gauge the heat level. Also, if it turns out too spicy you can always add more yogurt or crema to reduce the heat. 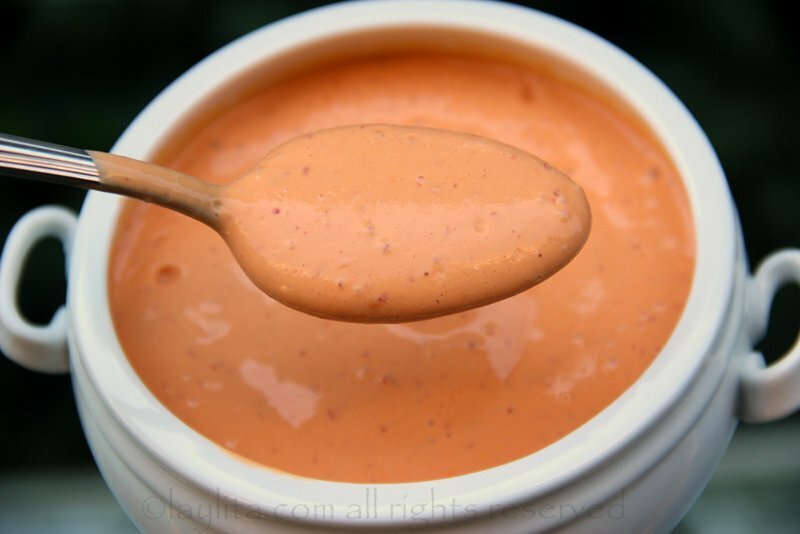 I use this creamy chipotle yogurt sauce as a topping for tacos, quesadillas or enchiladas. 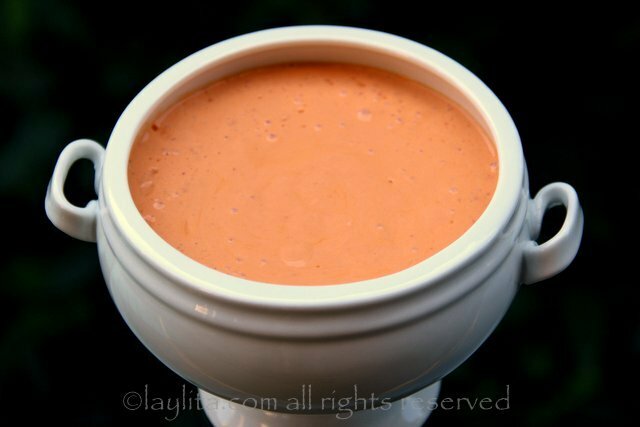 It’s also an amazing dipping sauce for empanadas, and goes great with soups. I also served it with grilled shrimp – seriously this sauce works for pretty much anything. I made chicken salad and use it instead of mayonnaise. Yummy I will use this for everything. Plain Greek yogurt definitely cuts your calories. Did exactly as the recipe said. Used Cabot Greek plain yogurt and Aldi’s chipotle in adobo sauce. Excellent! Definitely for keeps!!! Amazing! We used this on fish tacos, so easy to make. Used this as a marinade for grilled chicken tonight, absolutely delicious! Topped it off with onion,bell peppers,mushrooms and extra sauce then served it with cilantro and lime rice,corn and a batch of red lobster cheddar bay biscuits. This will be a staple dinner for me now! Amazing!! Just made it tonight for chicken taco. Picky hubby loves it and I do too. Creamy and spicy. A healthy and tasty dinner. Thank you!!! I’m obsessed with this sauce!!!! Thank you!!!!! I eat it with celery or on eggs, on meat, etc. So glad you liked it! It will last for several days in the fridge (as long as it doesn’t go past the expiration date of the yogurt or crema). Made to go with chicken fajitas. I accidentally bought just chipotle pepper adobo without any whole peppers, but used it anyway and it came out just as good. Bonus that the adobo won’t go to waste. I found this awhile back and put it with my chile rellenos. It was AWESOME. I lost this page and I am very happy I found it again! Was searching the store for a bottle of chipotle sauce. 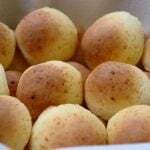 I couldn’t find any and just gave up and searched how to makr my own. I used Mexican table cream, not sure if that’s the cream that was needed, but it worked! Used a few extra peppers and a little sauce from the can. It was so tasty! I made this now twice and my husband LOVES it!! I cannot make it fast enough for him. We have used it as a sauce to Tacos, dipping sauce for eggs and pizza, and tonight with perogies. When I made it I used 2 chipotles deseeded and added some corn syrup to help with the tang of the yoghurt I used. Two thumbs up. A new sauce staple in our house! This was really good. I made stuffed poblano peppers (ground turkey,onion,currants, cilantro, almonds and pepper jack cheese) and after baking placed them on a bed of this sauce. It was delicious! Awesome! I made two batches of this, one with yogurt and one with crema. The crema batch was exactly what I get in local restaurants in Austin, TX. I used 5 peppers, seeds in, and 2 garlic. Perfect. Just tried this one, perfect!! 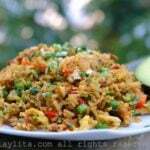 I’ve tried this recipe with the Mexican créma. I actually prefer substituting sour cream instead of the cream. It gives it so much more flavor. Made this tonight with chicken tacos; delicious! Thank you for sharing a “creamy” sauce that doesn’t use mayonnaise. I’m allergic to eggs and it’s very difficult to find certain sauces, spreads, dressings and salads that are just as tasty as their mayo based counterparts. Going to make this soon. I made this sauce tonight to go with fajitas and it was delicious!! Just made this tonight to have over black bean soup. I will never have the soup without this sauce again! This is fantastic! Very flavorful, creamy, perfect! This looks so good!! I will definitely be making this by the end of the week! This was very easy to make. I used 1/4 cup sour cream and 3/4 cup yogurt because that is what I had on hand. Very good but next time I will drain the yogurt first because it was a little thin. Thank you for sharing this recipe!